I live in Harrisburg, the state capital of Pennsylvania, and write narrative non-fiction about small American towns, their people, and their crises. You can read more of my biography on the “About the Author” page under the Centralia Mine Fire drop-down menu at the top of the page. My neighborhood, Shipoke, population about 200, is very much like a village. A National Historic District, it is bounded on one side by the flood-prone and three-quarter mile-wide Susquehanna River, a source of beauty and dread, and on the other by a tall, faux-brick sound wall. The wall does lend a certain medieval look to Shipoke, and protects us to a degree from whatever nastiness is occurring elsewhere in Harrisburg. Or at least we like to think so. Murder in the Stacks: Penn State, Betsy Aardsma, and the Killer Who Got Away, Globe Pequot Press. The true story behind the Penn State legend. 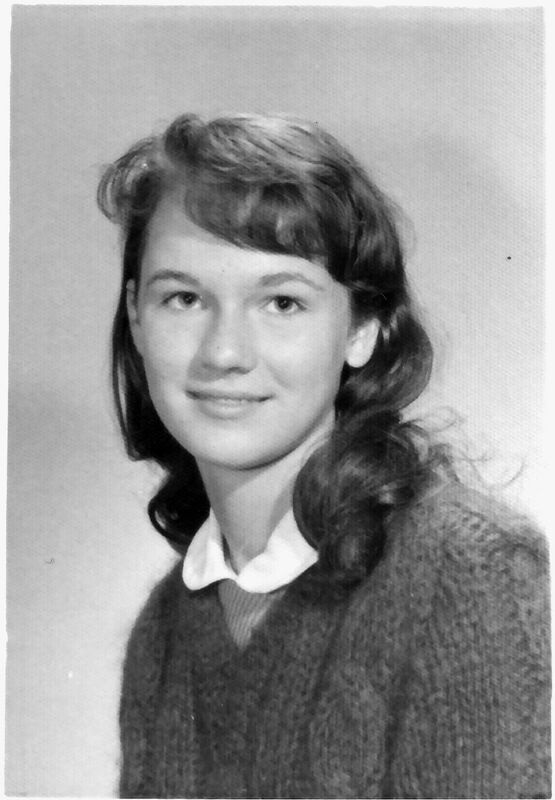 Betsy Aardsma, 22, was the pretty, bright, and well-liked graduate student who was stabbed to death in Pattee Library at Penn State’s University Park campus on Nov. 28, 1969. She was also from my hometown of Holland, Michigan, and went to my high school. I have written a dual biography of Betsy and her killer, how their lives collided, and how he got away with murder. Trade paperback, also available as e-book download for Kindle or Nook, and as an audio download. You can read more about Betsy Aardsma elsewhere on this website. My paper-and-ink book can be purchased at Barnes & Noble, Powell’s Books, and Amazon.com. Or have your local independent bookstore order it. Some Barnes & Noble and Books-A-Million stores in Northeast U.S. stock it in the True Crime section. (1986) Unseen Danger: A Tragedy of People, Government, and the Centralia Mine Fire, University of Pennsylvania Press. A comprehensive history of the tragic underground fire that destroyed Centralia, Pennsylvania. Reviewed in the Sunday New York Times Book Review. Cloth and trade paperback. Out of print, but don’t despair. 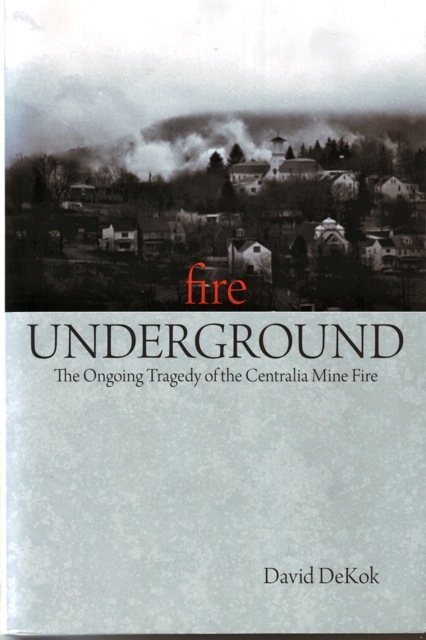 (2009) Fire Underground: The Ongoing Tragedy of the Centralia Mine Fire, Globe Pequot Press. An updated edition of Unseen Danger, with three additional chapters and other interesting additions here and there. It contains some of the best of my photographs of Centralia from the 1970s and 1980s. Now in its third printing. Trade paperback, also available for Kindle and Nook and now as an audio download from Audible.com and Amazon.com. (2011) The Epidemic: A Collision of Power, Privilege, and Public Health, Lyons Press. I tell the story of a typhoid epidemic that devastated Ithaca, New York, and Cornell University in 1903. Eighty-two people died, including 29 Cornell students. This is both a medical/environmental thriller and an intimate picture of a small town struggling to survive in the face of a terrible contagion. The business owner responsible for the epidemic founded the company that eventually became General Public Utilities Corp., responsible for the Three Mile Island nuclear accident near Harrisburg, Pennsylvania in 1979. Cloth. Also available for Kindle and Nook. 9/19/16 – Recording of Fire Underground’s audio edition has reached the halfway point, with release still on track for Nov. 15 or earlier. 7/13/16 – Work has begun on the audio download edition of Fire Underground! Eddie Frierson is again doing the narration. Look for it by Nov. 15 or even earlier on Audible.com and Amazon.com. 11/10/15: The audio edition of Murder in the Stacks is now available from Audible.com for $24.95, or free with a one-month trial subscription. The price is $21.95 at Amazon.com. Download it to your smart phone, tablet, laptop or desktop computer and listen as narrator and producer Eddie Frierson brings the story to life. Eddie, a veteran Hollywood voice actor (Frozen, Moneyball, Bruce Almighty, Secretariat) recorded the book under my supervision over the past three months. The audio version includes a new final chapter, Afterword, which incorporates two stories I told to me by readers after the print edition was published. Part I tells the story of Frank Brennan, a young radio reporter at Penn State who tried to find out why the police had gone to Pattee Library on the night of Nov. 28, 1969. The other is about Detective Jerry Crump, the police investigator who interrogated Richard Haefner after he was arrested in Lancaster in 1975 for molesting two boys who worked for him. “This is an excellent portrayal of the book! I’m binge listening. I can’t wait to hear the new chapter.” — Russell Reihart, Loretto, Pa.
Feb. 22, 2015 – A nice review of Murder in the Stacks in the Sunday Philadelphia Inquirer, which called it a “masterful piece of research and writing” and “the definitive work” on the Aardsma murder. Feb. 17, 2015 – I was saddened to hear of the death on Feb. 17 of Fred Prouser, a renowned photographer who in 1981 made the iconic photograph of 12-year-old Todd Domboski standing near the steaming mine fire subsidence hole that nearly claimed his life on Valentine’s Day. If you have my book Fire Underground, it is on the third page of the first photo section. Fred, 62, had long battled liver cancer. He was a stringer for AP at the time he took the photo. In 1992, he joined Reuters in Los Angeles and had a long career as a photographer in the Hollywood community, working the red carpet at many Oscar ceremonies and other big events until about a year ago. Rest in Peace. Dec. 6, 2014 – A show about Centralia is broadcast on Russian television. You’ll see me in it several times. Entirely in Russian, but the camera work and editing is so good that you’ll still find it interesting to watch even though you probably won’t understand more than a few words of it. Nov. 30, 2014: Nice article in the Centre Daily Times in State College about Murder in the Stacks and me, by Jason Klose. Nov. 22, 2014 – The Pittsburgh Tribune Review interviews me about Murder in the Stacks. Nov. 2, 2014: I appear on PA Books, an hourlong interview show on PCN, to discuss Murder in the Stacks with host Brian Lockman. I covered a lot of ground. If you missed it, watch for reruns. Nov. 2, 2014: York Sunday News in York, Pennsylvania, publishes a nice story about Murder in the Stacks and a Q&A with me. It is the first story since my book came out to mention the obstruction of justice issues I describe in my book. Oct. 15, 2014: You can listen to my interview about Murder in the Stacks on WITF Smart Talk here. Scott Lamar was the interviewer. Oct. 4, 2014: Murder in the Stacks is included in a round-up in the Spartanburg (S.C.) Herald-Journal of recommended new books. It was me, Joyce Carol Oates, and two people I hadn’t heard of. How this happened, I don’t know, but I’m happy because it shows interest in my book is starting to move outside Penn State Land. Sept. 21, 2014: WWMT-TV 3, the CBS affiliate in Kalamazoo, Michigan has me on their morning show to talk about Murder in the Stacks. The interview is good, the headline erroneous. I didn’t write a novel, which by definition is fiction. I wrote narrative non-fiction, even if it reads like a novel. Sept. 19, 2014: The Holland Sentinel publishes a front page story by Jim Hayden about me and Murder in the Stacks. Two-hour (approximately) Centralia mine fire historical walking tours, led by yours truly, are available for a flat fee of $200 (any number in the group), which covers my travel and time from Harrisburg. Unfortunately, much of the tour is not handicapped accessible, although a woman in a wheelchair did much of it with help from her friends. I talk about the history of Centralia and the mine fire, show you where the fire started, and display large photos of how the town used to look. I talk about what the people of Centralia endured from the mine fire gases coming into their homes. The gases are not an issue during the walk. The tours are rain or shine and can be taken at any time. You will have an amazing experience and come to understand the magnitude and anguish of what happened here. During the past ten years, I have worked with nearly 20 television production companies filming stories on the Centralia mine fire. In 2015, I worked with Popular Science Magazine and Globo TV from Brazil. In 2013, I worked with three different Russian journalists and their crews as well as Indigo Films, which was producing a piece for the Travel Channel. I can make your job a lot easier, whether as an on or off-camera source or facilitator (‘fixer’ is the industry term, but not everybody knows that definition…). I have a graduate certificate in documentary filmmaking from George Washington University and I understand your needs. In addition, all of the photographs in my Centralia photo archive, an unparalleled collection of Centralia and mine fire images, mostly from the early 1980s when the crisis was at its peak, are available for license. My basic rate for media consulting is $500. That includes all the help and explanations you need, finding people to talk to, spending a day with you in Centralia, appearing in your piece if requested, everything except photo licensing.